Autograph Door Systems offer you the finest array of quality garage door systems, professionally installed for residential garage doors & commercial overhead doors applications. We have a long track record in every phase of garage door selection, installation, maintenance, service and repair. 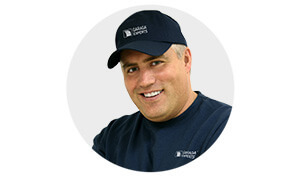 Garaga, the largest manufacturer of garage doors in Canada, has certified us as a Garaga Expert attesting to our skill at guiding you in finding exactly the right garage door and door opener to meet your needs. Getting the proper advice when buying a door is essential; after all, you buy one or at most two, garage doors throughout your lifetime. Visit our showroom at 785 Westney Road South, Unit 29 in Ajax. Our team will be happy to talk to you and assist you in evaluating your needs with the goal to find the right solution for you. Our business hours are Monday to Friday from 8 AM to 4 PM. Or if you prefer, we also provide a free at-home estimation and design consulting service. Get a quote! Since the largest moving part of your home is probably your garage door so safety and reliability key! The Chamberlain Group manufactures LiftMaster, the only garage door opener line we recommend and sell. With powerful motors combined and durable industrial-strength rails for smooth, steady performance. The LiftMaster industry leading drive system is backed by their trained technicians. Check out LiftMaster products in our garage door openers section and you’ll see why we only sell the best! And if you ever need to fix or replace any broken cables, springs or garage door opener, one of our certified technicians will come to your home. And sleep easy knowing our proactive preventive maintenance tune-ups and garage door opener repair will keep your door running like new! Our fast response service is ready to service any residential or commercial emergency garage door problem. Autograph Door Systems proudly served cities of Toronto East, Kawartha Lakes Region, Scarborough, Pickering, Ajax, Whitby, Oshawa, Courtice, Bowmanville, Newcastle and surrounding areas. Toronto East, Kawartha Lakes Region, Scarborough, Pickering, Ajax, Whitby, Oshawa, Courtice, Bowmanville, Port Perry, Cobourg, Newcastle and surrounding areas. Who are we at Autograph Door Systems?